ANGEL HELPERS Senior Home Care recognizes specific needs for all five stages of Parkinsons Disease. Our customized and personalized in-home care program ensures that your loved one receives trained and experienced caregivers! Our professional staff monitors activities of daily living and will implement personalized assistance to ensure safety at each stage of Parkinsons. From early stage one to advanced stage five, our staff offers professionally supervised 24/7 home health services. When I received the news that Dad had Parkinson’s I called Angel Helpers Senior Care for help. Even though I live out of state and Dad lives alone, I can breathe a sigh of relief knowing that my dad is never left alone and is being cared for by Angel Helpers. I call dad every day and since he has help from Angel Helpers, he is in good spirits and doing so much better! Dad has kind, qualified live-in caregivers from Angel Helpers that make sure that he is safe and using his walker. Angel Helpers also provides transportation to doctor appointments, and even does the grocery shopping! I feel so much better knowing that Dad is eating nutritious meals, getting assistance with bathing and dressing and taking his medications. And the house is clean and his laundry is done! All in the comfort of his own home where dad has lived for 51 years! Dad enjoys life again and looks forward to each new day! Thanks to the professionals at Angel Helpers Senior Home Care… the cost of quality home care has the highest return! ….Because my dad is worth more than gold to me! Celebrating 15 years of Excellence in Home Care! 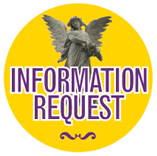 Call today 1-888-93-ANGEL or fill out our request for more information about in home care form.